Lightly smash the garlic. Heat oil and sauteed garlic till fragrant. Pour in broth and add veggies when boiling. Simmer for about 15 minutes or until garlic are soft, crack the salted egg yolk in and stir gently. * If you prefer to have chunky eggs, wait for the egg to harden a bit before stirring. Add seasonings, then turn off fire and stir in beaten egg. 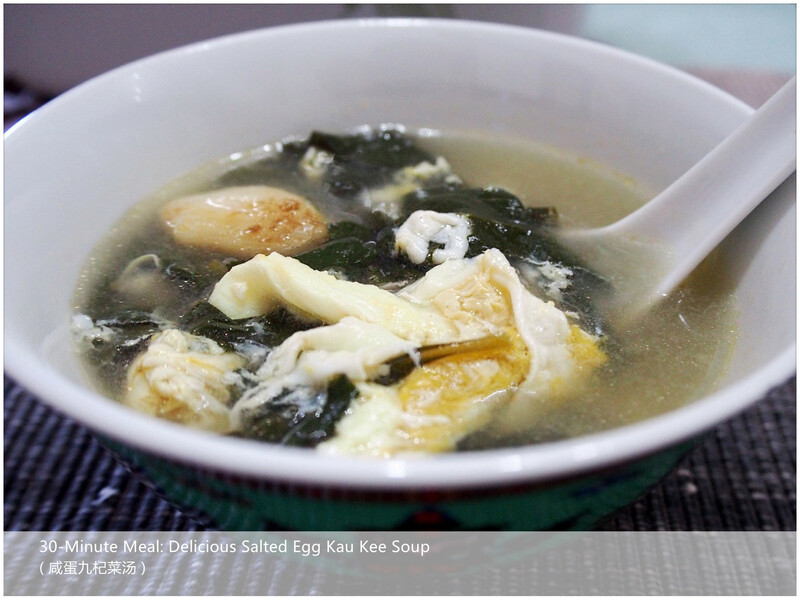 Serve your Delicious Salted Egg Kau Kee Soup hot!